An Inspired Life: is living a life that is most aligned with your deepest calling and internal knowing of what is right for you, even if it’s unconventional. Are you aspiring to, or living your, inspired life right now? Often, our challenge is not in envisioning this next chapter but how we move from the life we are living today to this inspired life. Perhaps it hasn’t been an easy journey for you. Teaching you ways to embrace your dreams, goals and visions is what this program is all about. 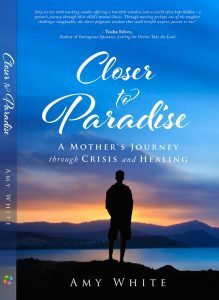 Breakthrough ideas and tools to help you to embrace your dreams, bolster your courage and help you find clarity as you continue to fine tune what your inspired life is all about. Learn and encourage each other to pursue what really matters, and achieve balance and continued growth both professionally and personally as we embrace our inspired lives. 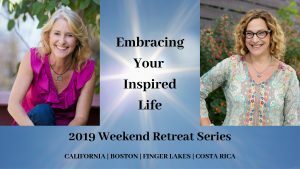 Join us for this weekend-long retreat where we incorporate movement, meditation, self-reflection and FUN into the mix. Click your desired location below!